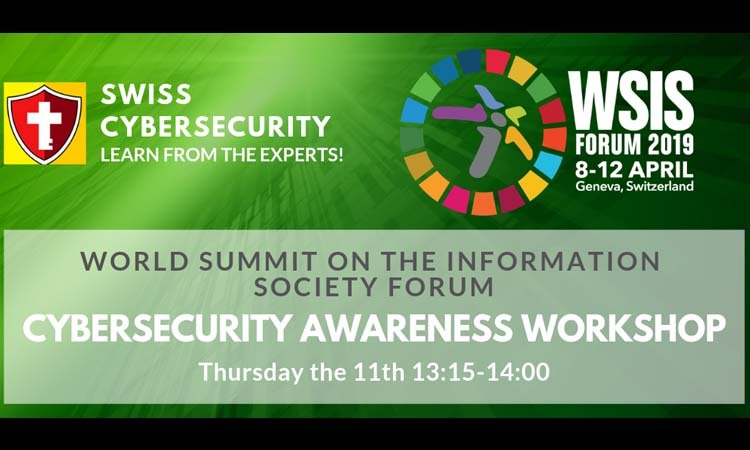 The WSIS Forum is a global multi-stakeholder platform facilitating the implementation of the WSIS Action Lines for advancing sustainable development. The Forum provides an opportunity for information exchange, knowledge creation and sharing of best practices, while identifying emerging trends and fostering partnerships, taking into account the evolving Information and Knowledge Societies. Every day we listen about new attacks, passwords stolen and data loss: are we really doing everything necessary to protect them? 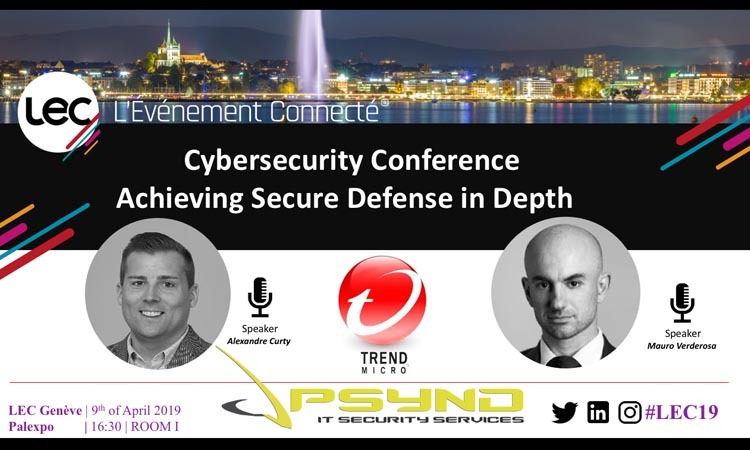 Join our workshop: with Alexandre Curty (Trend Micro) and Mauro Verderosa (PSYND), we will go through different scenarios and we will both discover how to recover from an attack and how to prevent them from happening. Mária Bicsi presented Privileged Access Management in the Western-European Public-Private Dialog Platform conference. 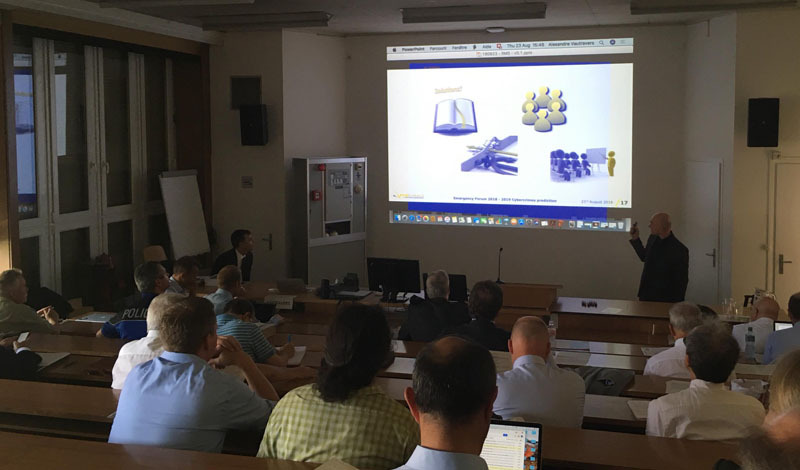 The conference was held in Porrentruy on the 29th and 30th of November 2018. 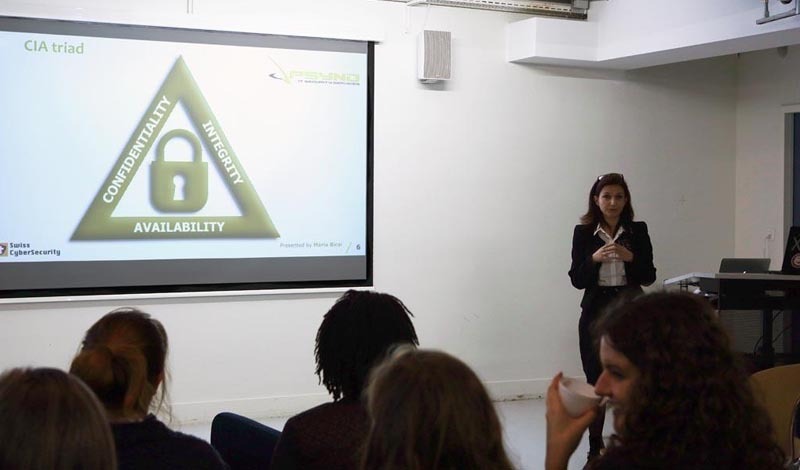 Mária Bicsi presented a Cybersecurity Awareness Training about how to protect your private life. You will understand how many information your smartphone is releasing every day. How secure your credit cards, how to secure your MacBook and how to get complete isolation of signals when you want to protect your privacy. 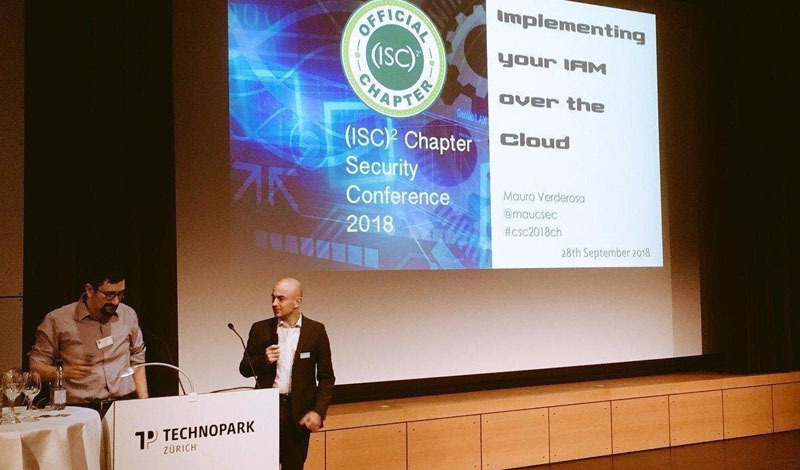 Mauro Verderosa presented the IAM evolutions in the cloud domain on the (ISC)² Chapter Switzerland event. In the latest years companies are migrating their systems on premise to cloud solutions. Before this transformation takes place, it's needed to run a deep analysis to be sure that processes and internal policies are respected. 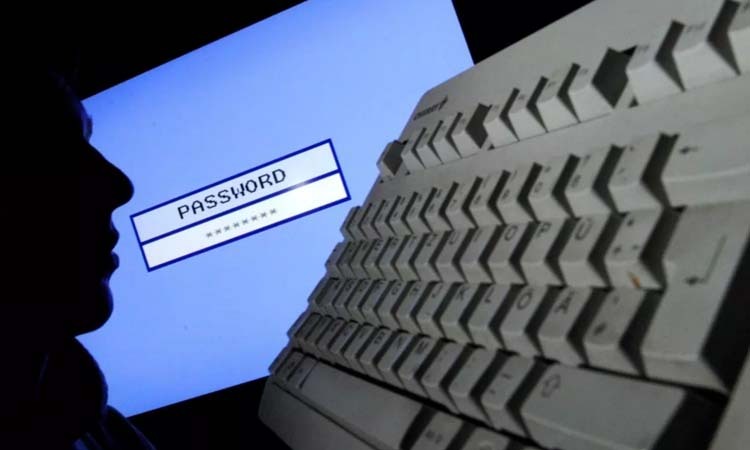 Moreover, the security is playing a key factor because, without the needed protection, business confidential information could be wrongly exposed to Internet generating a data loss that could compromise the business of a company. Discover what measures should be implemented to enforce the access control in the cloud and what are the key points that should be considered before developing a secure infrastructure. Mauro Verderosa will present CA PAM, the Computer Associates solution for PAM. 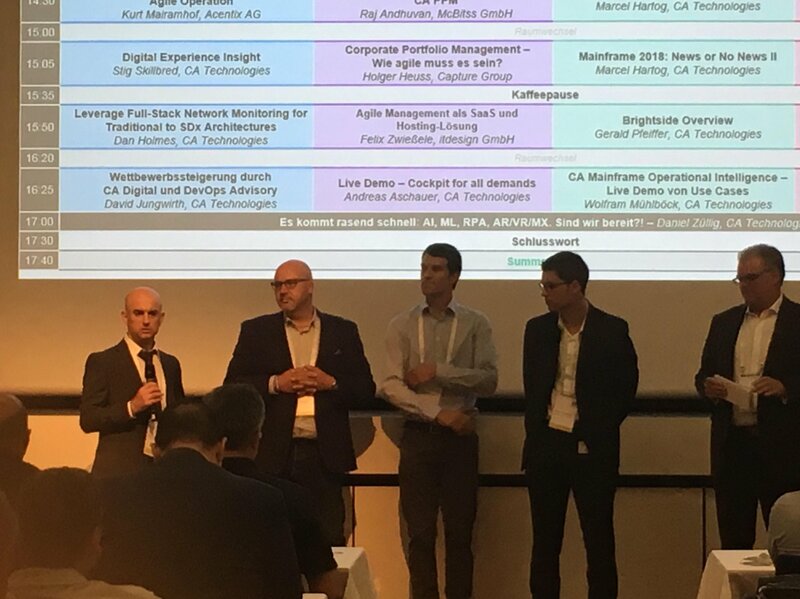 The presentation will introduce all the main concepts of what a PAM solution should have, from the Session Monitoring to the Segregation of Duties. All these concepts will be explained with practical examples showing how the product is addressing all the features. 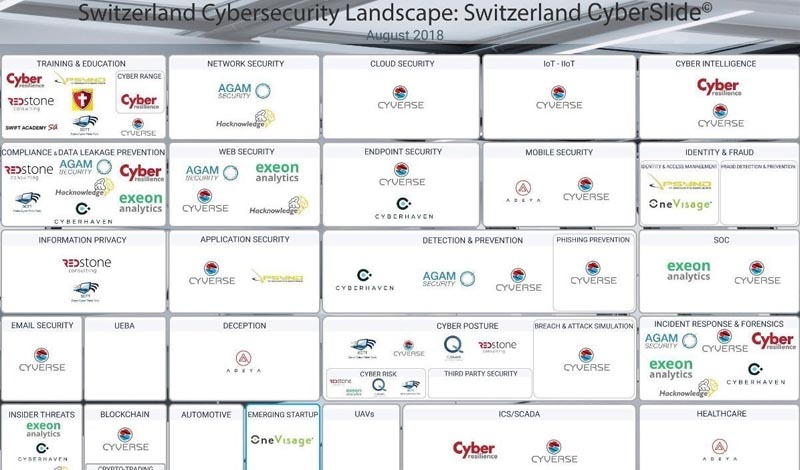 PSYND and Swiss-CyberSecurity listed by the Cybersecurity Observatory. Mauro Verderosa will present at the Emergency Forum the top cyber-threats foreseen for 2019. 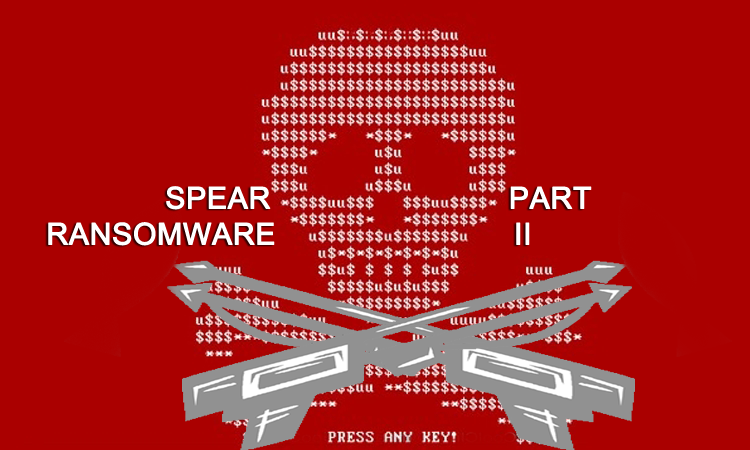 In this section will be discussed what are the current attacks and how they could evolve in the coming months. 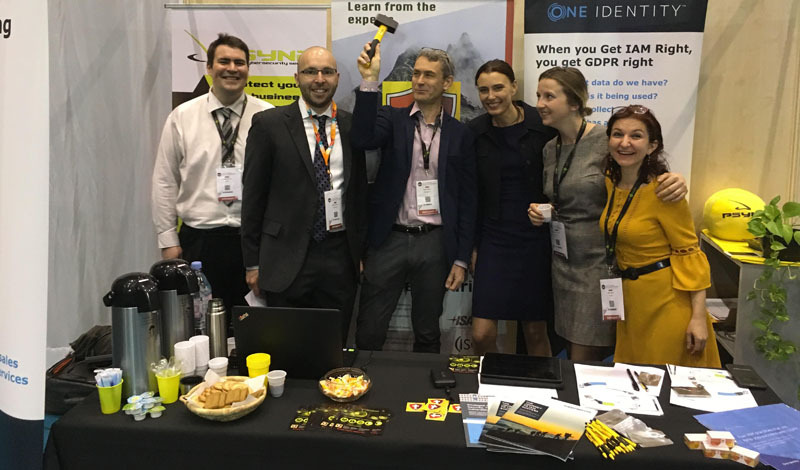 Come and visit PSYND at stand IT04 in Palexpo: Mária, Petra, Camille and Guillaume will present you how IAM could help your business and improve the security in your company and we will also introduce you about how initiative with Swiss-CyberSecurity. Patrick and Robert , from One Identity, will show you the unique value of One Identity as an IAM market leader in Europe. The Swiss IT Business exhibition and its collocated event, the Bi Swiss Forum Geneva, is the largest professional gathering dedicated to business software and IT solutions in French-Speaking Switzerland. The 6th edition will take place on April 24-25, 2018. 4,000 trade visitors will meet 250 companies (75% Swiss, 25% foreign) and will attend 120 themed conferences, keynotes and workshops. The exhibition offers to its trade visitors a rich and varied program of themed conferences, an exhibition area, workshops, business meetings and training sessions. Psynd is inviting you to be part of it. For more details about the topic and the invitations please contact us. Automation and innovation are now key enablers to improve access control whether it be from a business, technical or compliance perspective (GDPR).This conference aims to provide CIOs, CISOs and business decision makers with insights into the latest developments of identity and access management, including the protection of the privileged accounts. Automation and innovation are now key enablers to improve access control whether it be from a business, technical or compliance perspective (GDPR). This conference aims to provide CIOs, CISOs and business decision makers with insights into the latest developments of identity and access management, including the protection of the privileged accounts. You can gain 4 CPEs for your (ISC)² certification. 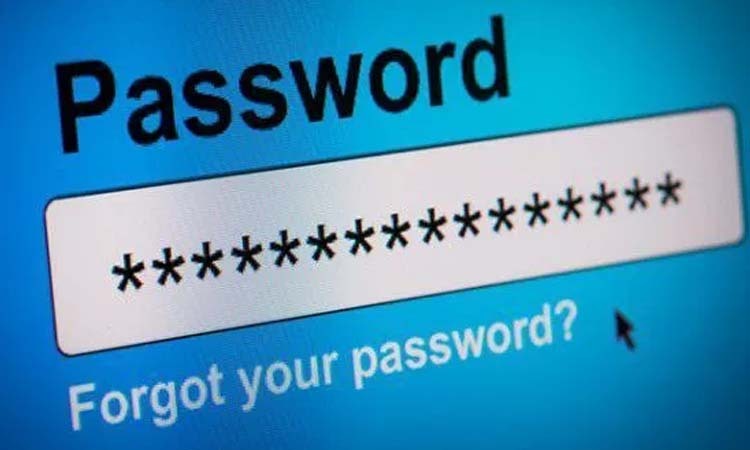 o How to manage globally the password in your system and how to implement a Privileged Password policy. 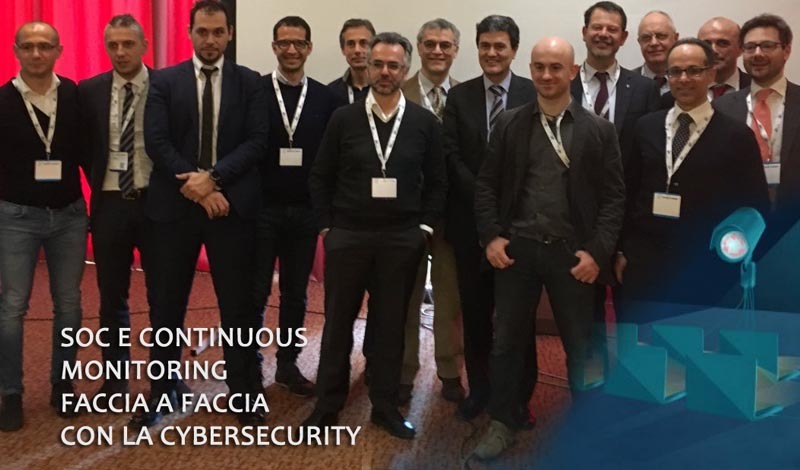 Christian Folini, Matteo Mazzeri and Mauro Verderosa will present at the Swiss-CyberSecurity event Open Source Security. The event is organized by PSYND. You can gain 2 CPEs for your (ISC)² certification. 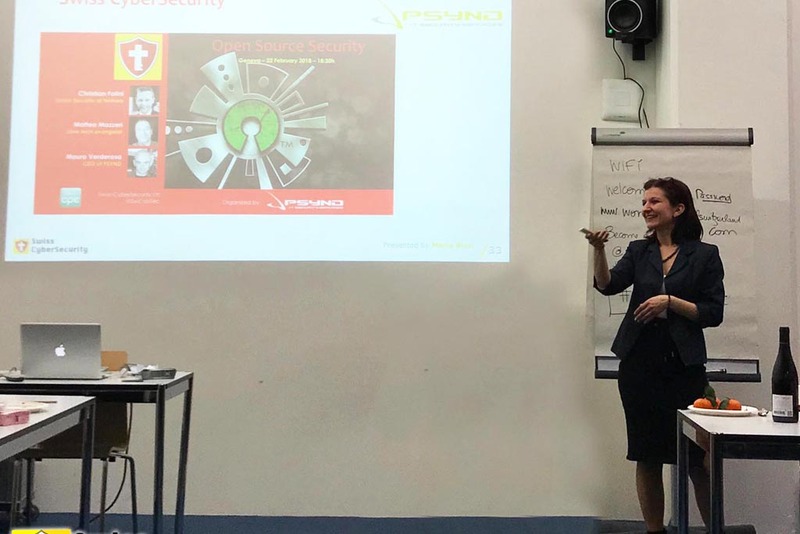 Mária Bicsi presented a Cybersecurity Awareness Training at Women in Digital Geneva. 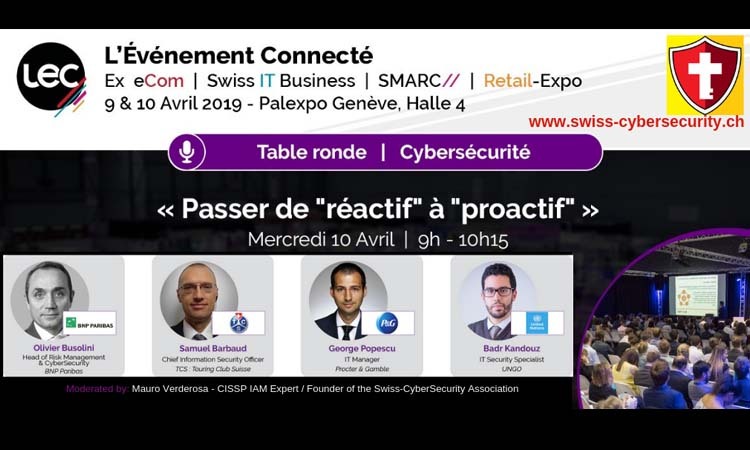 Michel Paschalides and Omar Benjumea will present at the Swiss-CyberSecurity event what are the most common Ransomware and you will receive a high-level introduction to the concept of ransomware and then dig deeply into the methods you would take to protect yourself from this scourge. 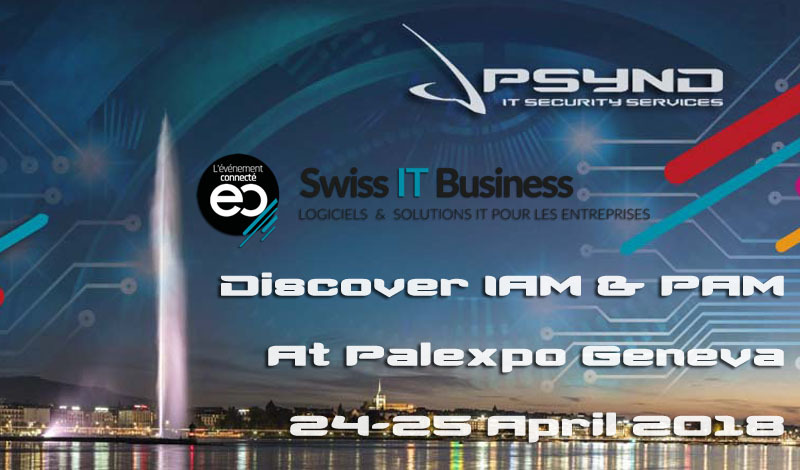 PSYND is sponsor and organizer for the Swiss-CyberSecurity.ch events. In this video Mária Bicsi is presenting the Annual Initiative for 2018. Come and visit our stand and get a free juice or some fruits! Mike Kalomeni and Kay Addai will present at the Swiss-CyberSecurity event what is what is an ICOs, what are the opportunities around them, but also what are the risks. Event organized by PSYND. You can gain 2 CPEs for your (ISC)² certification. 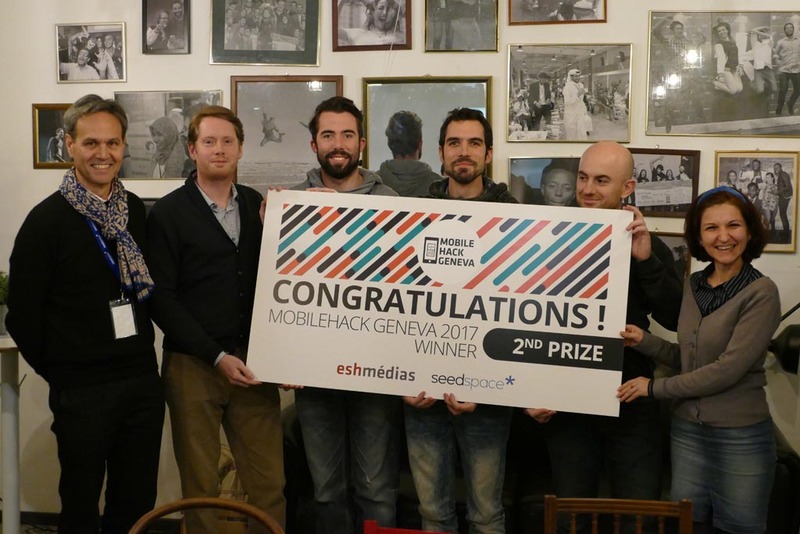 Mauro Verderosa and Mária Bicsi join the team of Hidora to participate to the Hackaton of Geneva 2017. The final result will be the 2nd position! Mauro Verderosa speaks in Geneva about Logical Access Control in the Swiss-CyberSecurity event organized by PSYND. You can gain 2 CPEs for your (ISC)² certification. Mauro Verderosa speaks in Geneva about Physical Access Control in the Swiss-CyberSecurity event organized by PSYND. You can gain 2 CPEs for your (ISC)² certification. At the Gartner Security & Risk Management Summit you’ll learn how to use proven practices as well as innovative technologies and methods to help manage increasing cybersecurity risks without unnecessarily inhibiting the business. 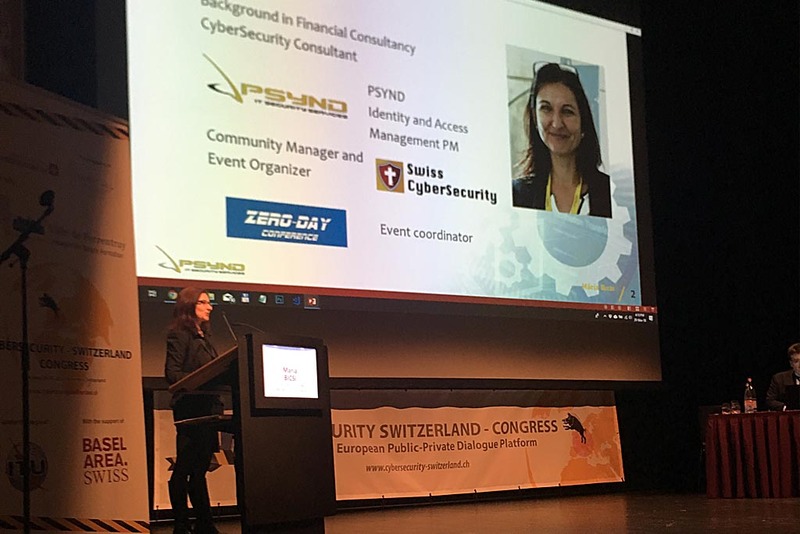 Mária Bicsi speaks in Geneva about GDPR in the Swiss-CyberSecurity event organized by PSYND. Mauro Verderosa from PSYND speaks in Zurich about Social Engineering on the Swiss Hacking Day 2017 organized by SIGS. Discover the Blockchain from the security point of view. The introduction will be given by Oday Darwich, researcher and teacher assistant at Geneva University, about Blockchain and Ethereum. We will dive deeper in the Blockchain Security with Prof. Bryan Ford, who leads the Decentralized/Distributed Systems (DEDIS) research group at the Swiss Federal Institute of Technology in Lausanne (EPFL). Mauro Verderosa speaks in Geneva about Security in IoT in the Swiss-CyberSecurity event organized by PSYND. PSYND organize with ThinkYoung, a Swiss organization focused on young people, a full day workshop in Georgia. 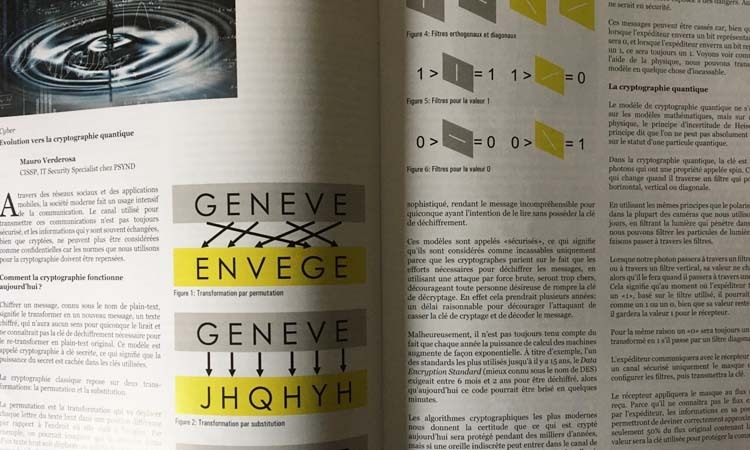 Mauro Verderosa speaks in Geneva in the Risk Management event organized by PSYND. 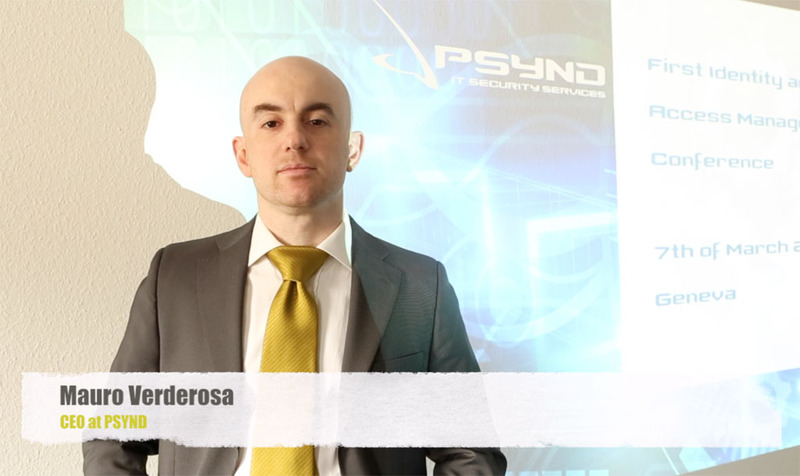 Mauro Verderosa speaks in Geneva in the CyberSecurity awareness event organized by PSYND.